We are leading manufacturer and exporter of dilseed. 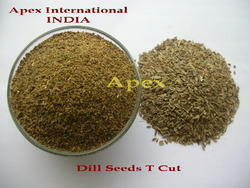 We are involved in supplying superior quality Dill Seeds to our clients. These seeds are used as a flavoring agent and as a condiment for flavoring pickles. They are used in curries, soups, salads etc. They are best used when fresh and it is for this reason they are often stored in frozen form. • Dried fruit of the herb Anethum Graveolens. • Used since ancient times by the Romans as a stimulant for gladiators. 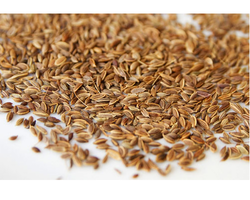 We offer Dill Seeds (Anethum Sowa) that are aromatic and widely used in various cuisines as a flavoring agent. These natural sowa herb and oil are mainly used as condiment for flavoring pickles, curries, soups, salads and confectionery. In addition, it is also ideal for preparing tea.